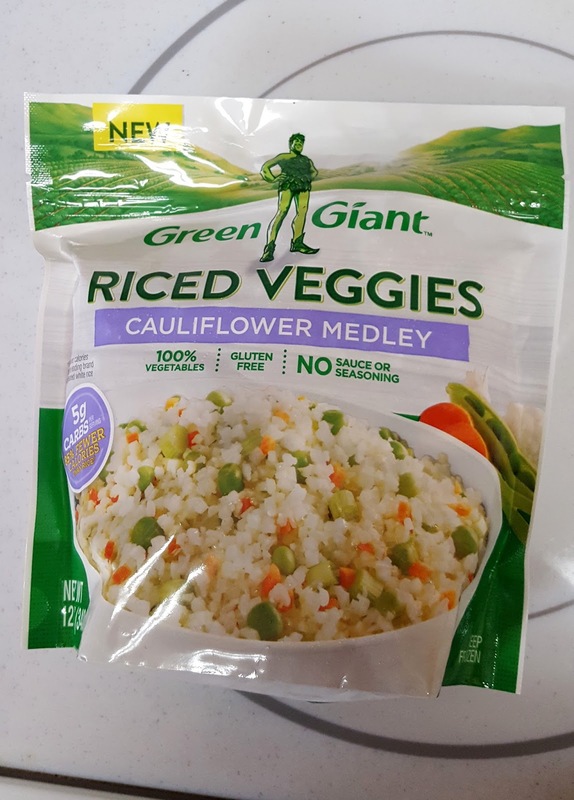 It contains cauliflower, yellow onion, peas, carrots, and green onions, No seasonings and no fat. I used this as the basis of my bacon fried rice, but you can use any riced cauliflower you like (and add your own choice of other vegetables if desired). 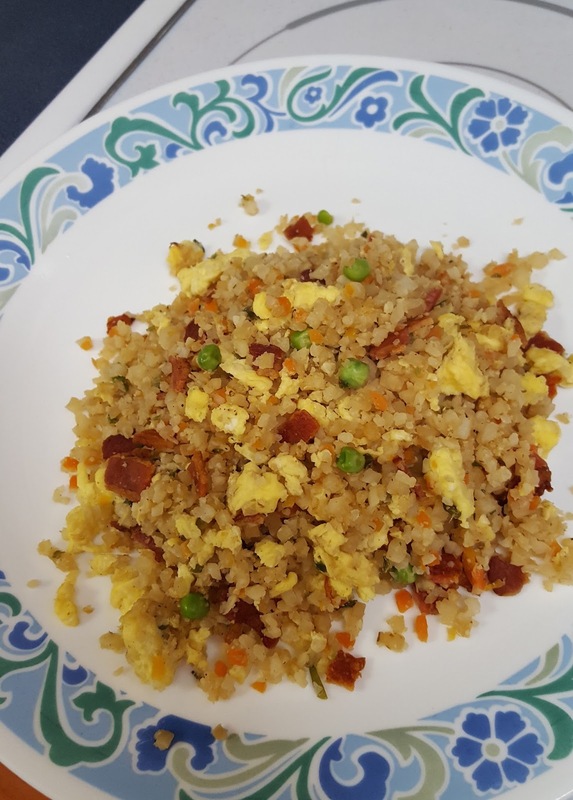 I adapted the recipe from here: Bacon Fried Rice. To have dinner in under 15 minutes, just get the bacon started cooking and microwave the cauliflower rice as directed on the package or steam until soft. Drain most of the bacon fat and set the bacon aside. Toss the "rice" into the hot pan and stir it around to brown it a little and evaporate any extra moisture. Turn the heat down, push the "rice" aside and scramble the beaten egg in the other side of the pan. Then stir it all together and add the soy sauce and crumbled bacon. Season to taste with garlic and pepper. The pre-made "Medley" rice is very easy and tasty, but I couldn't taste the green onions in it. Next time I'll add sliced fresh green and yellow onions to the bacon fat and add them to the dish. I think I will use the leftover "Medley" rice to make another fried rice dish with eggs, ham, and veggies this weekend. Hope you enjoy this simple, delicious, lower carb meal as much as I did! Looks fantastic! I wonder if I would get a bag free because of my last name. LOL Carole, your comment made me smile this morning! good to "see" you! I love this idea. I am going to make it with shrimp. Thanks for the recipe. I love your recipes! I've never made one we didn't like. Thank you for sharing them.